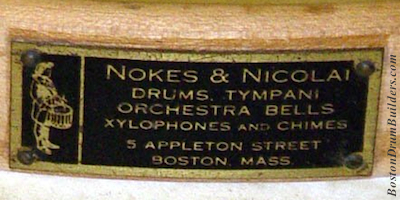 From Ellis Mirsky's Field Drum Blog comes an interesting early 20th century Boston-made rope drum labeled with the name of a little known musical instrument dealer. 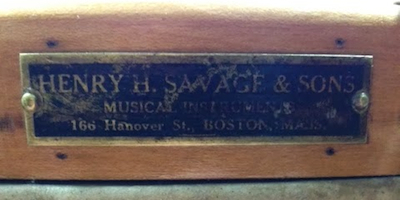 The hoop mounted metal badge reads "HENRY H. SAVAGE & SONS / MUSICAL INSTRUMENTS / 166 Hanover St., BOSTON, MASS.". 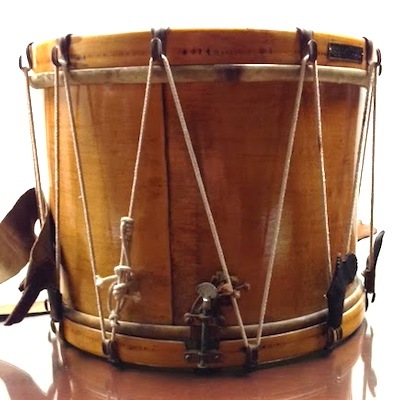 The characteristics of this drum are all typical of the Boston Drum Builders of the early 1900s, but information on Savage & Sons is hard to come by. Henry Harrison Savage was born in North Bridgton, Maine on September 12th, 1839. Savage was married with three children, including two sons, and in his early life was involved with farming and the grocery business. He moved to Boston in the 1860s working as a clerk in a broker's office for several years before going into business for himself about 1878. Savage would go on to have diversified business interests including real estate, development, and banking, and was active as both a Mason and an Odd Fellow. Savage passed away in Wakefield, MA at the age of 92 on March 22nd, 1932. During the late 1910s and early 1920s, Savage & Sons advertising appeared in college newspapers including MIT's "The Tech" and Boston College's "The Heights". The business obviously dealt in more than just musical instruments as their advertisements listed an eclectic array of wares for sale including everything from "Talking Machines and Records" to "Diamonds, Watches, Clocks, & Jewelry". It also says something about Savage's target audience when advertisements are running in college newspapers but not the prominent music trade publications at the time. 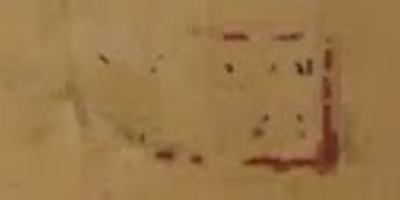 All of these clues suggest that Savage was more of a lower level musical instrument dealer than any sort of high end drum manufacturer. 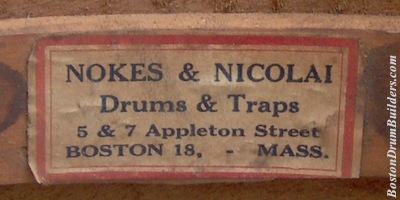 Compare the pictures below of the Savage & Sons drum to a Nokes & Nicolai instrument from the same time period. And for more photos of the Savage & Sons drum, visit Blog.FieldDrums.com. 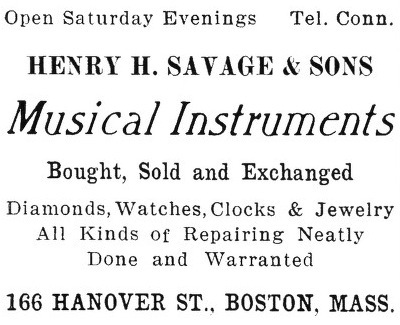 Do you have an instrument from Henry H. Savage & Sons? I want to hear from you! Send Lee and email at lee@vinson.net.